How to convert VOX to MP3 fast? You are here: CoolUtils > Total Audio Converter > How to convert VOX to MP3 fast? VOX is an audio format that can be rarely met in the support list of all major players. It is hard to find a program to play these files. Without conversion to more commonly used file types it's impossible to find a proper use for this kind of tracks. In Total Audio Converter you can convert VOX to MP3 - one of the most popular music formats of all times. Adjustable music export is what makes this converter special among the others. 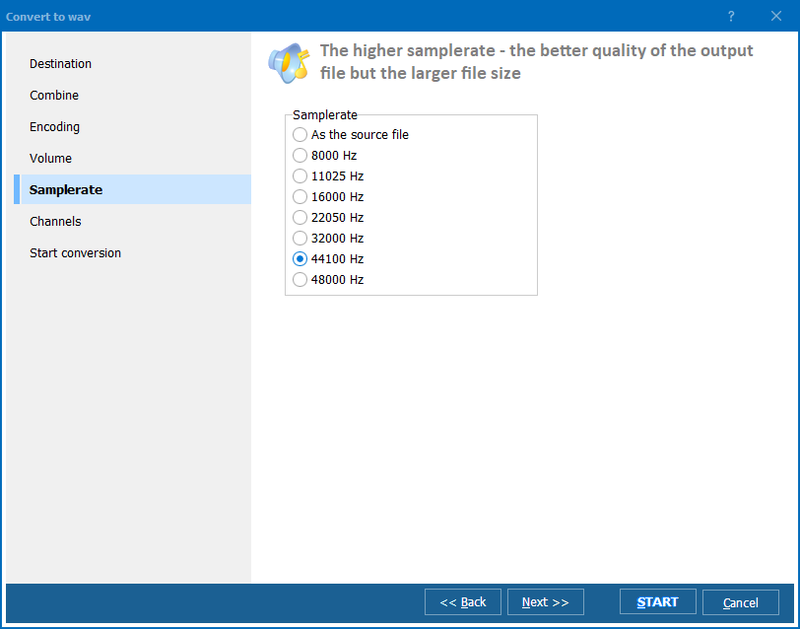 First of all, Total Audio Converter supports batch file processing giving you a chance to manage all files in a second. The process of conversion may take minutes, depending on how many tracks you convert, but this part will be done of its own accord. You only need to setup batch VOX converter once and wait for the result. You can export one single VOX file too. In this case the program will offer an ability to export its specific fragment. This feature helps to cut the original track into pieces and convert them all to the desired format. In a minute or so you will see the destination folder opened with all converted copies on place. This audio converter can play songs too. Its integrated player supports various formats and help to select the right sources. It also shows the parameters of selected track including format, sound quality, etc. 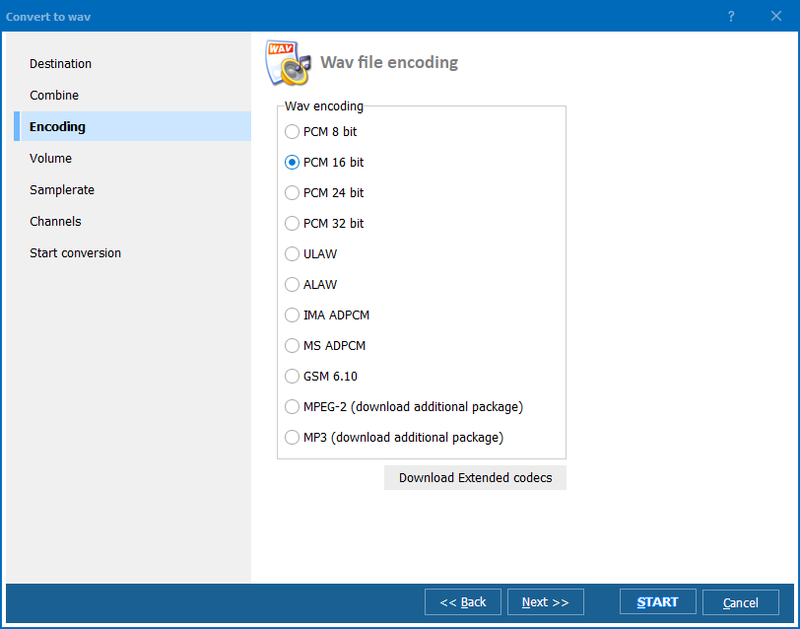 This VOX MP3 converter gives ability to setup samplerate, channels, and bitrate. 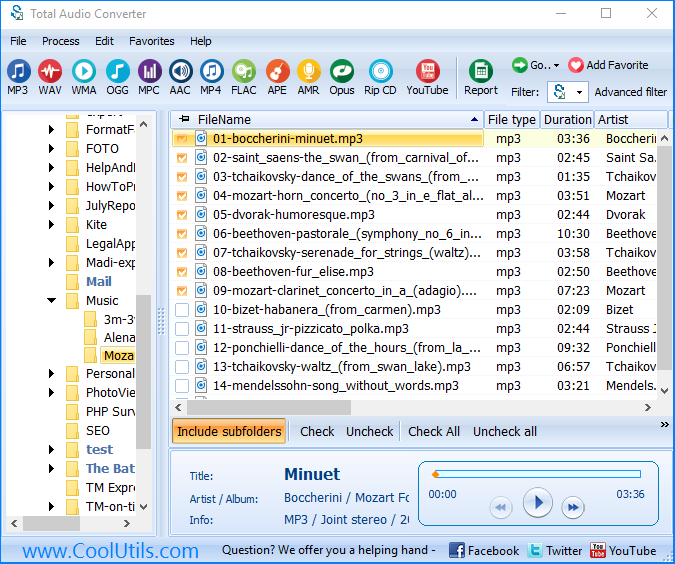 When converting files in batch, it's also possible to combine them all in one MP3 file. You can download VOX converter in a trial version.